It it bound to the current program, rather than operating system level. So you need to make the window appear for each application you use. I'm looking for a program that keeps my favorite symbols all in one place in a floating window and lets me easily insert them into the current application. Does such a program exist? 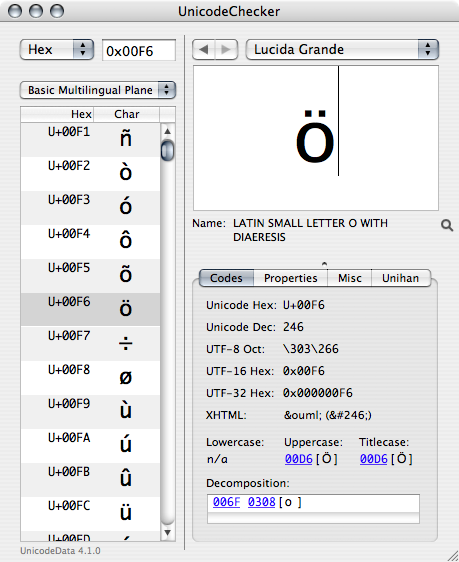 UnicodeChecker is an excellent app showing each of the possible Unicode characters. Search the more than 110,000 characters by name with a press of Command+F. Frequently updated to keep up with changes in the Unicode standard. Use the Favorites menu to quickly access your frequently-used characters. Not the answer you're looking for? Browse other questions tagged macos keyboard software-recommendation text-input . Is there an easy to use Bible program for both OS X and iOS? 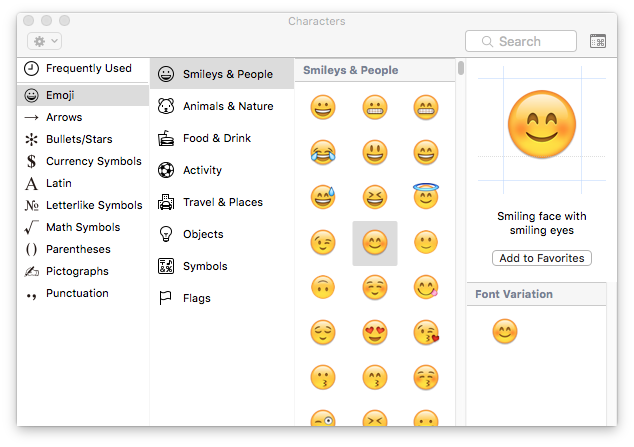 Extract text between two unicode symbols using AppleScript or bash?